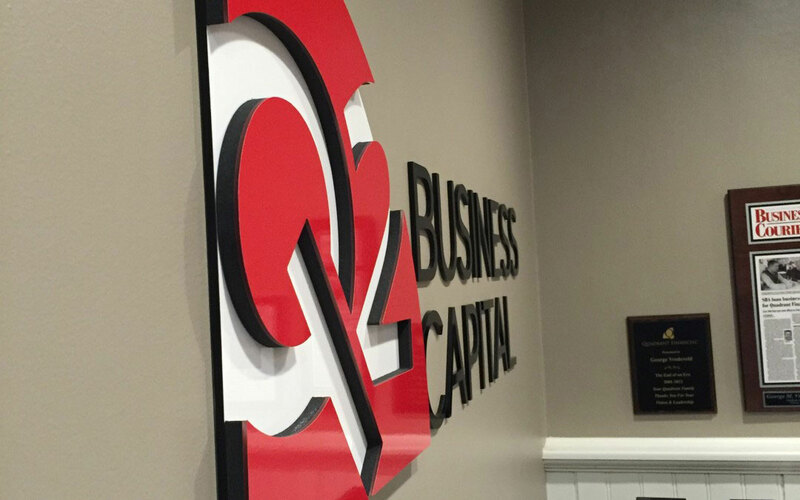 The team at Q2 created their modern logo with a bright red, white and black scheme. This allowed the designers at Cincinnati Custom to suggest a logo sign of equal modernity. For this, they decided upon a glossy-faced sign with a multi-layered approach, creating a three-dimensional design. 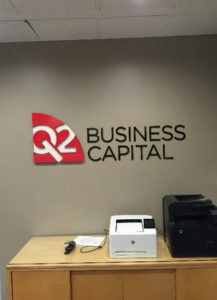 Due to the sign’s direct wall adhesion, and wanting to ensure minimal damage upon removal, the team at Cincinnati Custom utilized doubled face (D/F) tape to mount the piece. The method enables security of the sign but is less intrusive than other methods. 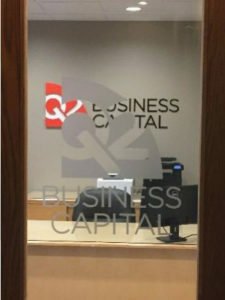 Q2 sought to attract customers immediately, which influenced their placement of the interior sign, visible from the outside, but also a customized etched vinyl logo on their entrance door as well. Gatorfoam is a lightweight, heavy-duty foam board. With 30 years in the sign industry, Gatorfoam is the trusted brand leader. Made in the United States, Gatorfoam is often specified for its durability and its ability to be mounted, printed, painted and fabricated with ease.